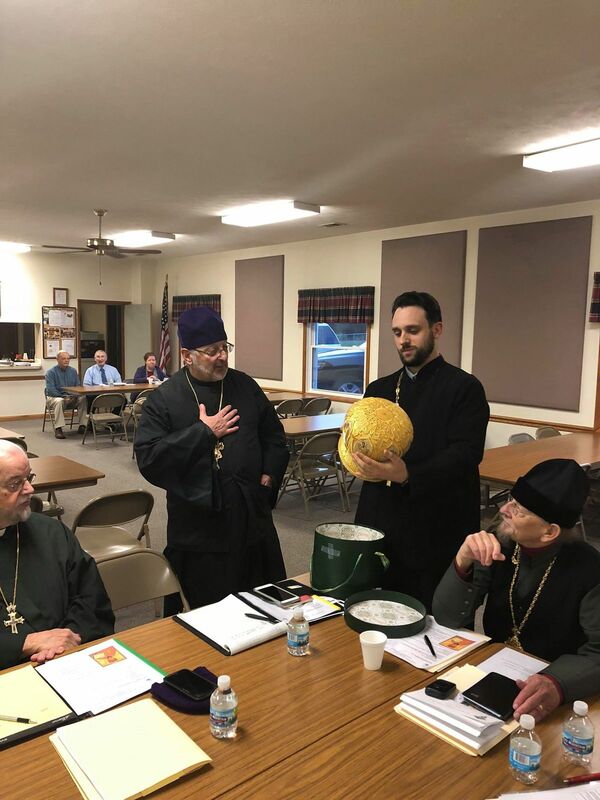 From 30-31 October , the clergy of the Central States Deanery gathered at St. Elias Orthodox Church in Battle Creek, MI for their fall meeting. 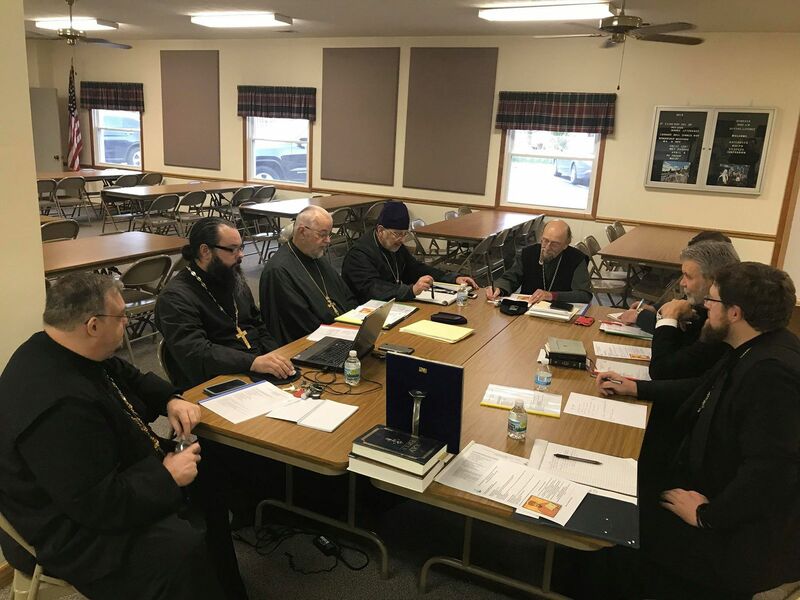 At the invitation of dean, Archpriest Roman Star, and in keeping with a long established Deanery tradition of inviting qualified speakers, Priest Mark Rashkov (cleric of St. Nicholas Patriarchal Cathedral, in New York City) delivered two presentations to the clergy of deanery. Prior to the start of the meeting, Fr. Mark presented a special gift on behalf of Bishop John and the cathedral clergy to Archpriest Timothy Barna (rector of St. Michael the Archangel Orthodox Church) in recognition of his 70th birthday on September 26th. 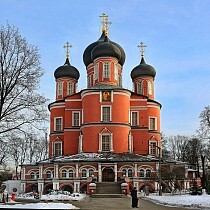 “Memory Eternal” was also sung for the newly departed Archpriest Vincent Saverino. 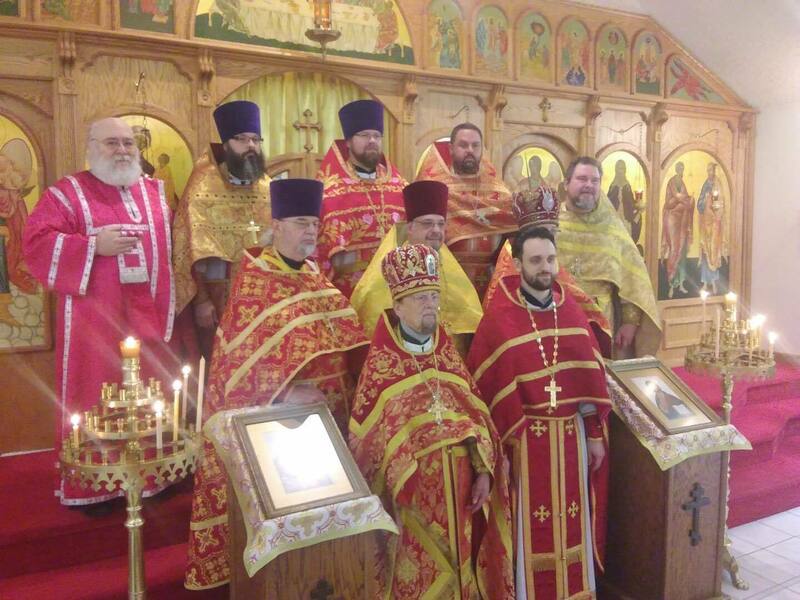 In addition to these presentations, regular deanery business, and wonderful fellowship, the clergy served Vespers together on Tuesday night and celebrated the Divine Liturgy on Wednesday morning, commemorating Hieromartyr John Kochurov.